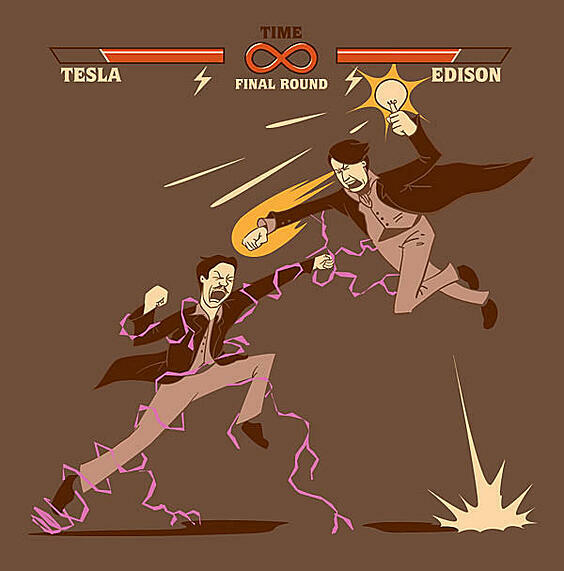 In the spirit of debates, you’ve probably heard about the famous rivalry between Nikola Tesla and Thomas Edison. These giants of electrical engineering pioneered innovations that changed our world. But what exactly was their relationship like with one another? Meeting of the Minds: In 1882, Tesla moved to Paris where he took a job at the Continental Edison Company. Showing great promise early on, his supervisor advised he join the company stateside, writing a letter of recommendation praising the young Tesla as a genius. Despite hiring him, Edison thought his ideas were "splendid" yet "utterly impractical". Scientific Methods: A tedious experimenter, Edison's lack of a formal education is attributed to his commitment of trial and error on so many levels. Historians suggest this is what caused the drastic measures he took in order to achieve his discoveries. In contrast, Tesla had years of engineering training and education under his belt. This experience and knowledge taught him to work out his theories before physically implementing them into his research. 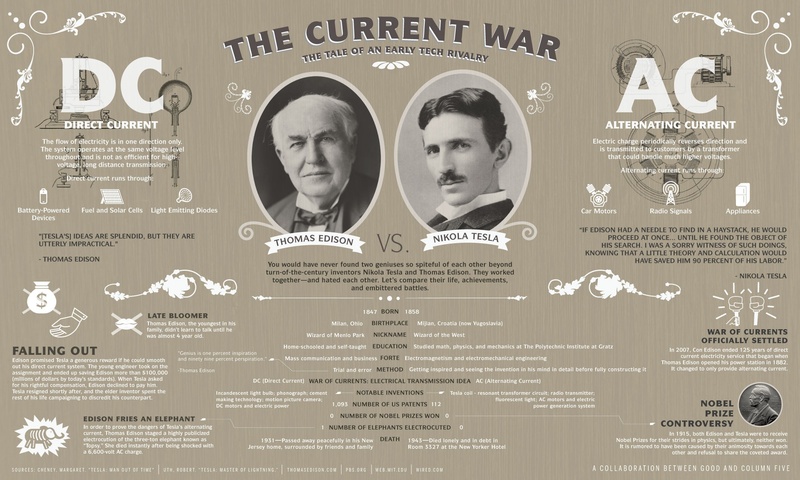 War of Currents: Of all the "impractical ideas" Tesla had, the one Edison despised the most was his concept of alternating current (AC) technology. Edison insisted that his direct current (DC) system was far superior. DC systems were considered safer because they maintained a lower voltage from the power station to the consumer. However, at the time, DC technology only allowed for a power grid with a one-mile radius from the power source. But AC technology allowed the flow of energy to periodically change direction providing a more practical way for transmitting massive amounts of energy. By this time, Tesla insisted he could increase the efficiency of Edison's technology and the duo eventually settled on a bet for an alleged $50,000! For perspective: that's nearly $1.5 million today. Tesla got to work. And on that cliffhanger, click the giveaway button below to cast your vote for AC vs. DC!